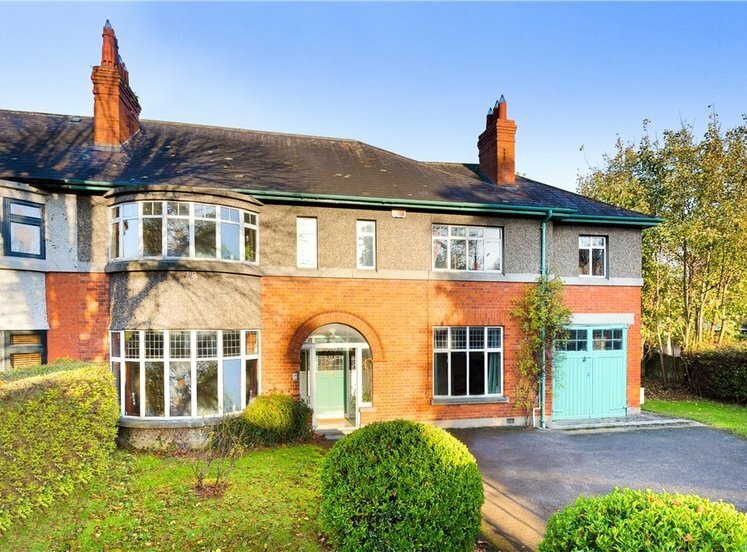 An unrivalled opportunity to acquire a uniquely attractive two storey semi-detached Victorian family residence superbly positioned on this most convenient and highly sought after residential road in the heart of Ballsbridge. 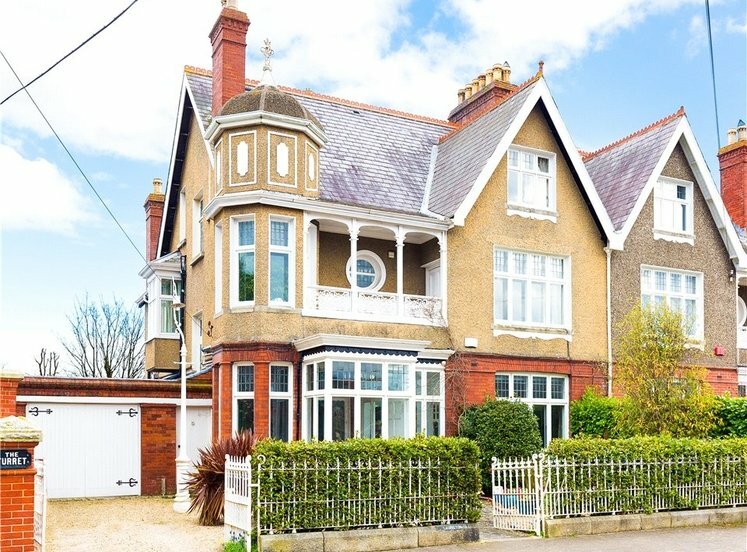 Number 22 Anglesea Road has been extensively upgraded, extended and refurbished to an exceptionally high standard of modern design and finish throughout and now enjoys extensive accommodation of approximately 320sqm (3,444sqft). 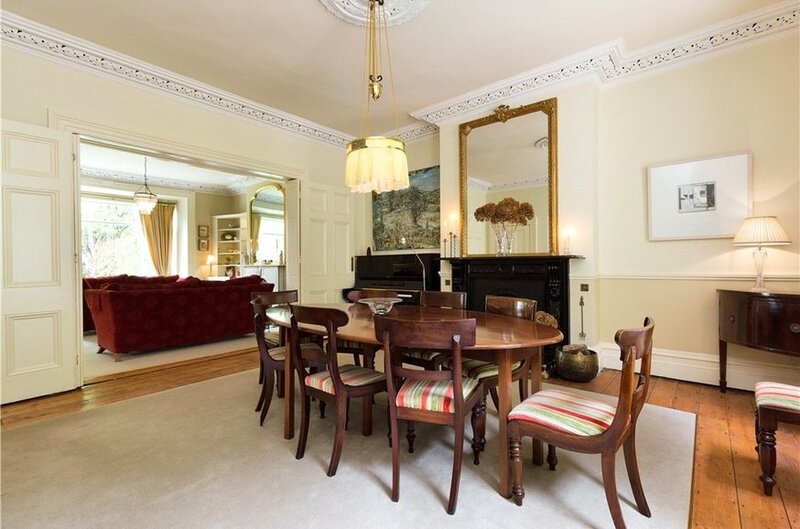 This is truly a wonderful family home enjoying lateral accommodation with a perfect blend of elegant period proportions and features typical of the era of construction combined with all modern conveniences in a light filled contemporary extension to the side of the property. 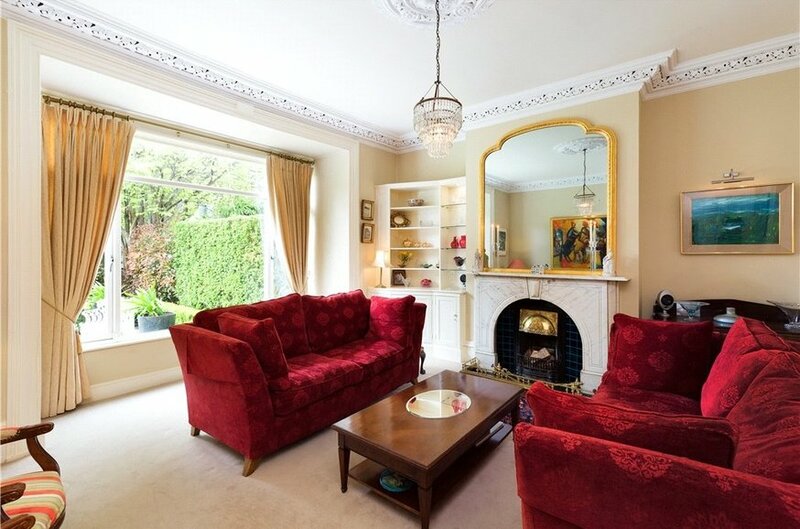 Internally at ground floor an impressive reception hall leads to two very fine interconnecting reception rooms complete with magnificent mantle pieces. 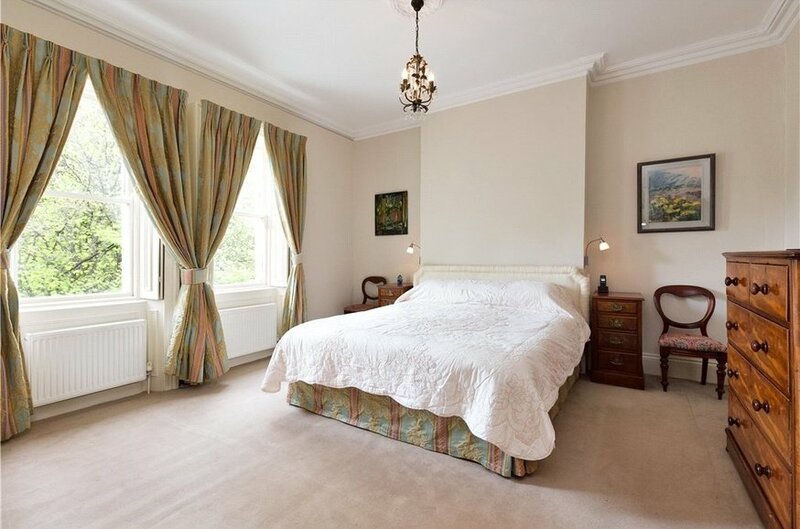 Both rooms enjoy views over the private front and rear gardens and are ideal for entertaining. To the other side of the reception hall there is an extensive family kitchen and living area to include a utility room and a large cloaks room with separate access to the front of the property. 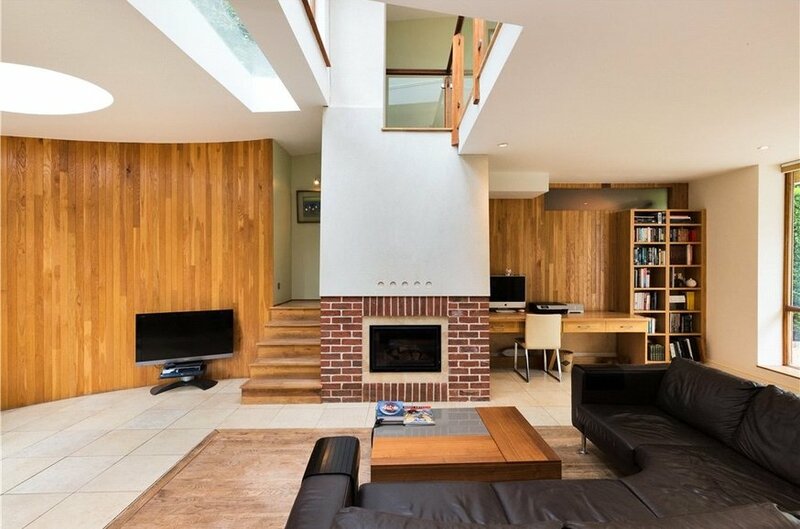 The kitchen and family room are a particular feature of the property enjoying a contemporary light filled feel with large windows to front and rear and a double height atrium over the living area affording maximum levels of natural light. 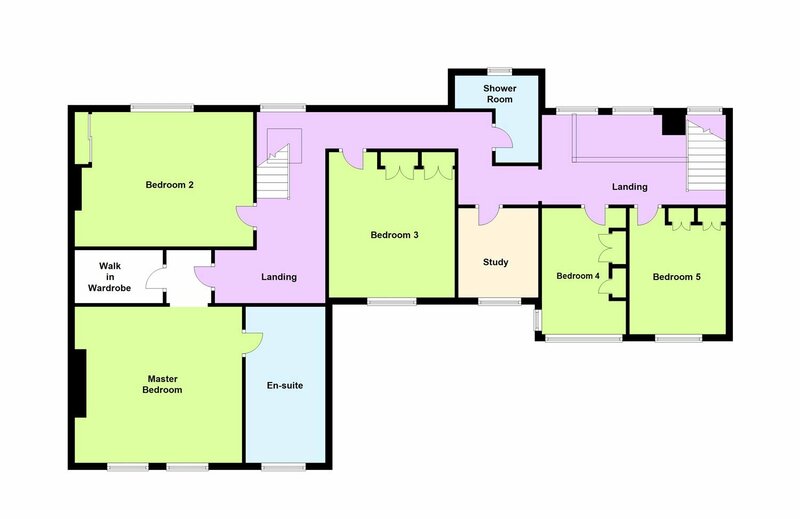 There is a useful second staircase leading from the family living area to the first floor bedroom accommodation. There is also a guest w.c on the ground floor. 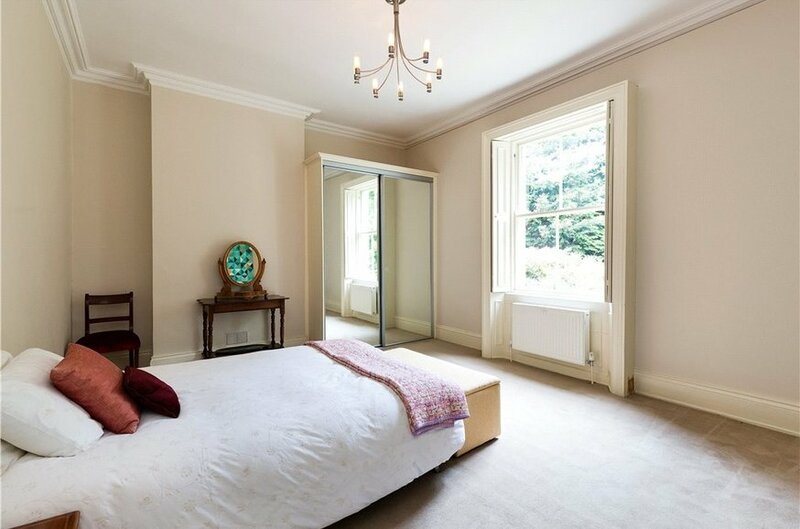 On the first floor there are five bedrooms in all including a master suite with lavish en-suite bathroom and walk in wardrobe. 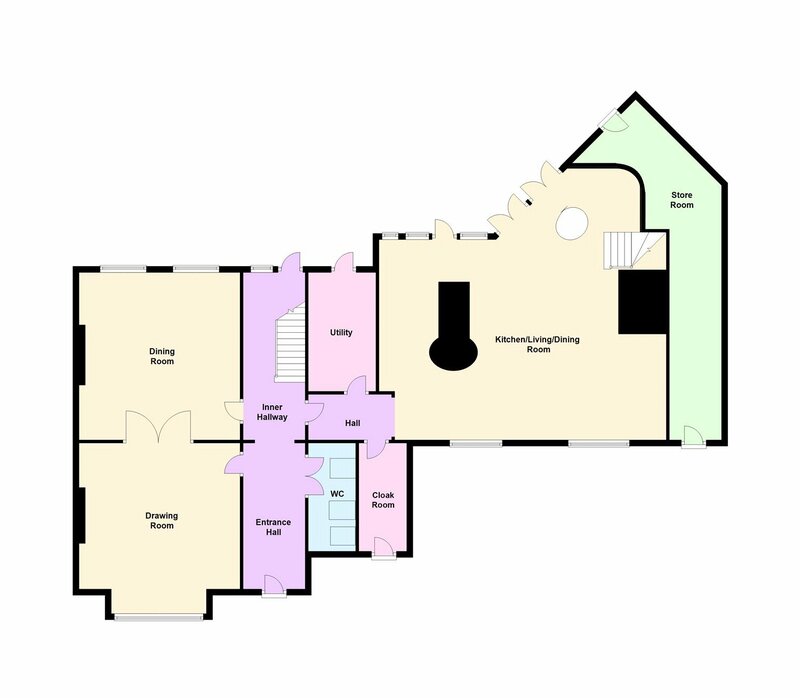 There are four further bedrooms, a home office and a well-appointed shower room. 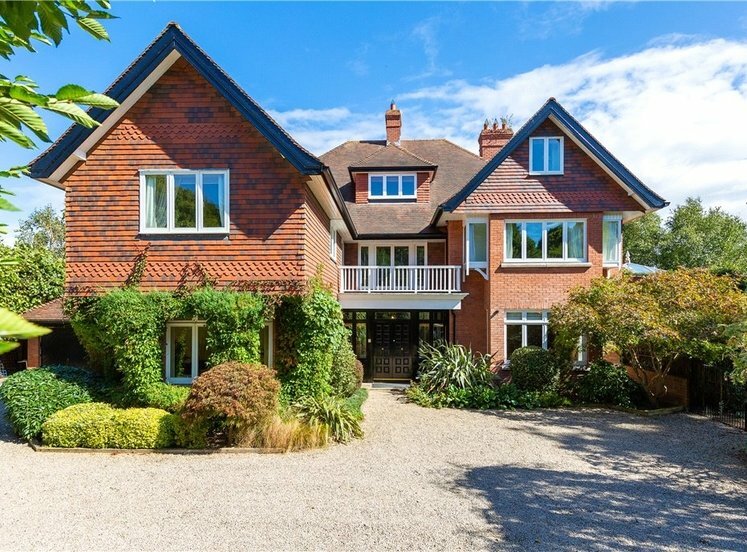 To the front of the property there is ample off street parking for 5 cars and an attractively landscaped private front garden. To the rear there is a wonderfully secluded private tiered garden, specifically designed to provide several spaces in which to enjoy the sunny aspect. There is a most useful store room to the side complete with work- bench and plumbing which also provides side access leading from the front to the rear of the property. 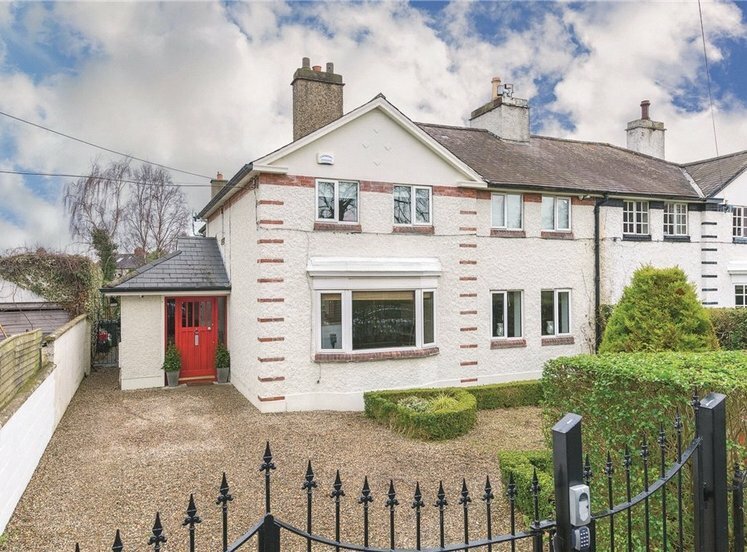 Houses of this calibre offering such well-presented, cleverly designed and family friendly accommodation within a period structure rarely come to the market. The ample off street parking to front and private garden to rear are a much sought after feature in this sought after residential location. No. 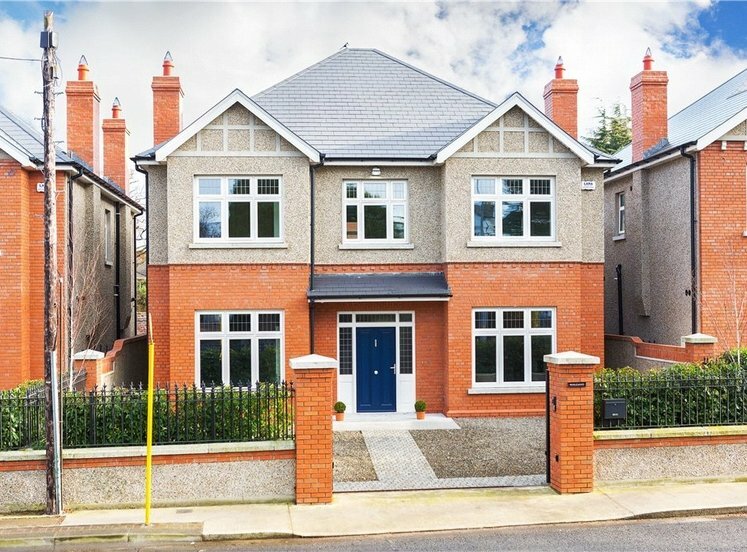 22 is exceptionally well located on this much sought after and fashionable road between Donnybrook and Ballsbridge villages, offering a wide selection of amenities within the immediate area including specialist shops, bars, restaurants, various schools, the R.D.S and Herbert Park. 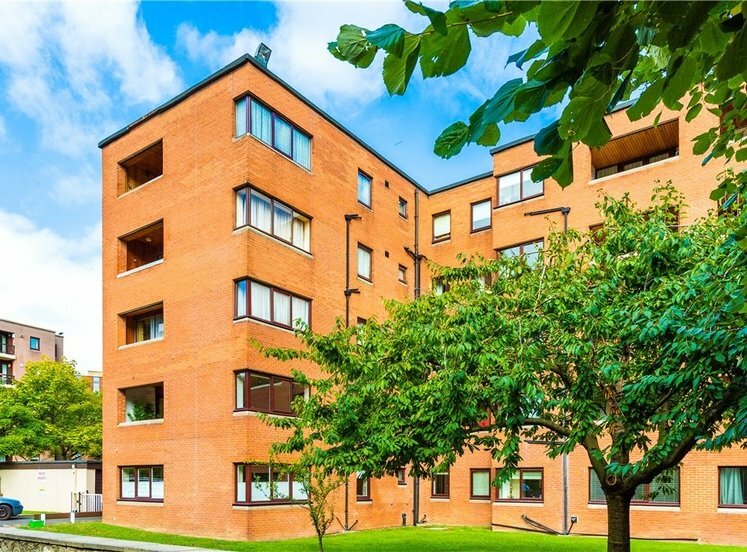 The property is also within easy walk of the city centre and offers excellent transport links including Lansdowne Road Dart station and various bus routes with service both Ballsbridge and Donnybrook. 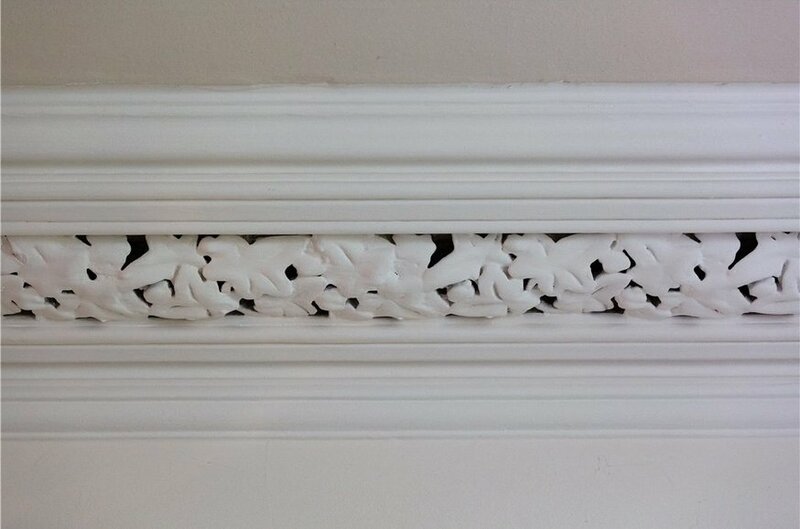 with feature decorative ceiling cornice work, feature arch and steps down to lower hall level. with contemporary wash hand basin, w.c., fitted book shelves, feature roof lights, Velux skylight overhead and porcelain tiled floor. 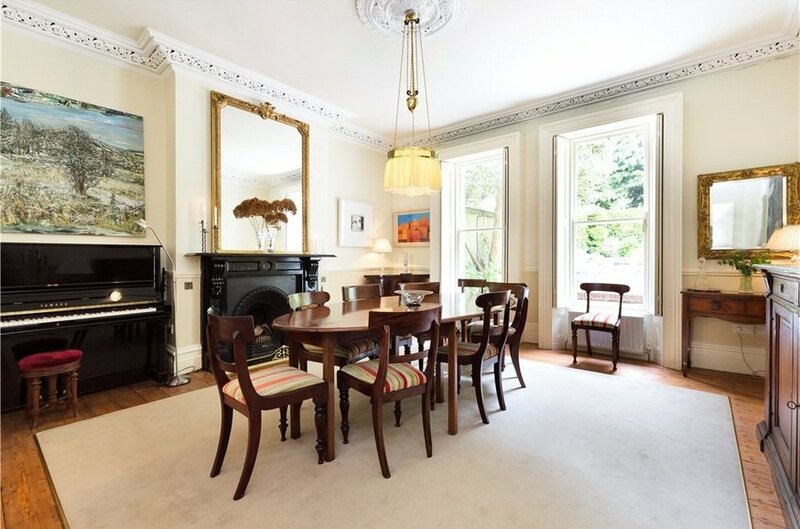 with part pine flooring, double sliding sash picture windows with period shutters overlooking the rear garden, centre ceiling rose, decorative cornice work and magnificent marble mantelpiece with solid fuel fire inset. Porcelain tiled floor with underfloor heating and double glazed timber framed double doors leading to the rear garden. with a range of floor and eye level fitted press units, one and a half bowl stainless steel sink unit, polished granite worktop, plumbed for washing machine and dryer, extensive range of built in cupboards, including hot press, space for free standing fridge/freezer, porcelain tiled floor and double glazed timber framed door leading to rear garden. with tiled floor, an extensive range of built in cupboards, door to front and door to shelved storage area. with a mixture of porcelain tiled floor and inset oak flooring, feature curved floor to ceiling oak panelled wall, dramatic contemporary vaulted ceiling with roof lights overhead, floor to ceiling double bi-folding doors overlooking the landscaped garden to rear, feature solid stove with brick hearth, built in office area with large desk, oak panelling to rear, built in book shelves and staircase to first floor. 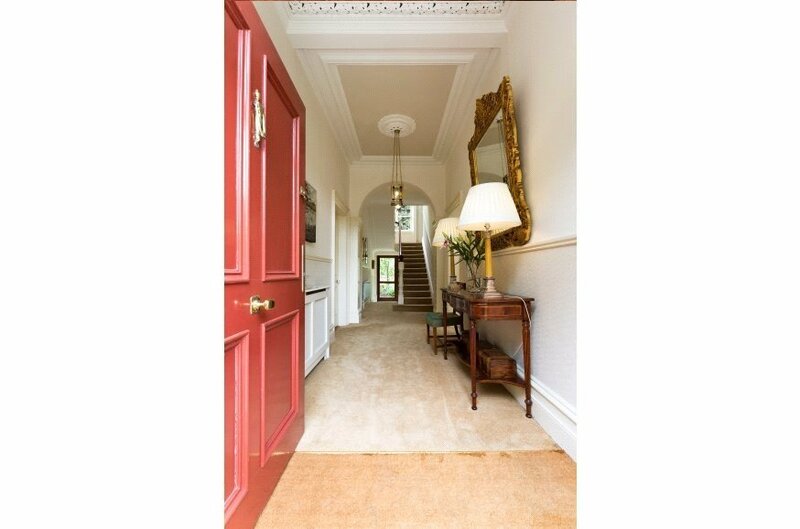 AN ATTRACTIVE STAIRCASE LEADS FROM THE GROUND FLOOR TO THE FIRST FLOOR RETURN. 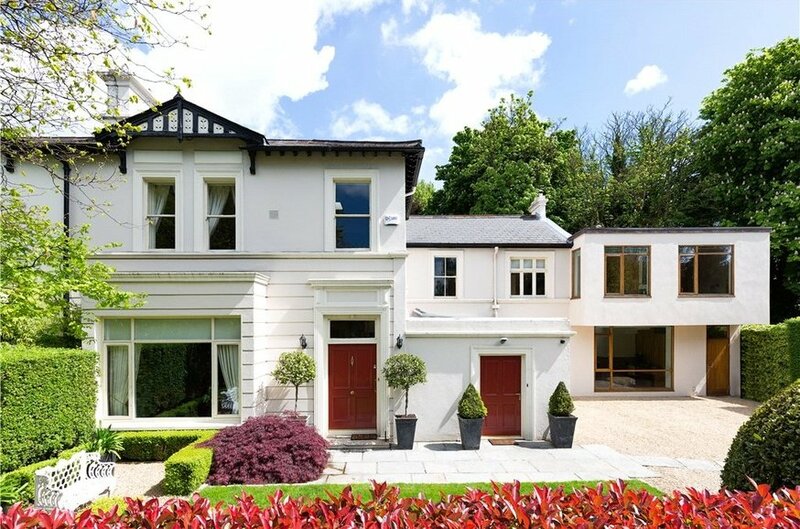 with feature sliding sash window overlooking the rear garden. with feature arch and fitted book shelves. 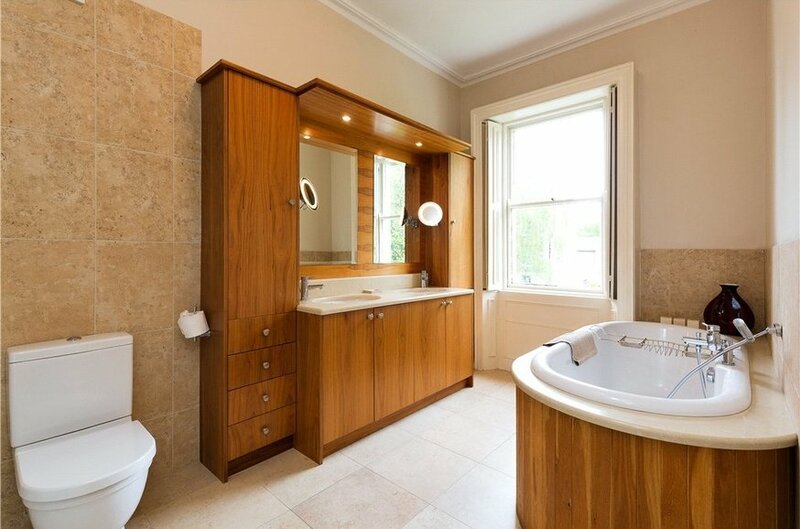 with oval bath inset into marble topped surround, his & hers marble topped sink unit with cupboards and laundry baskets under, vanity mirrors over, recessed lighting, w.c., tiled floor, large walk in power shower, sliding sash window to front with feature shutters and underfloor heating. with sliding sash window to rear with feature shutters and built in sliding wardrobe incorporating concealed wash hand basin. with feature sliding sash window overlooking the rear. 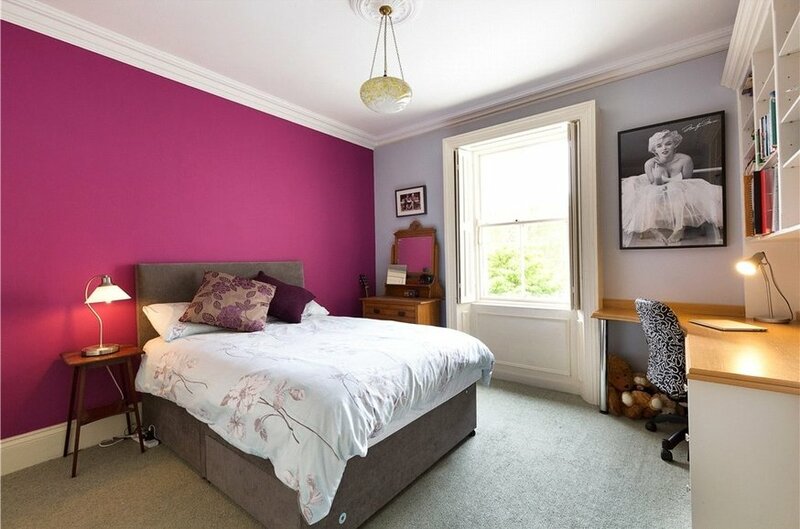 with sliding sash window to front with feature shutters, built in wardrobes incorporating concealed wash hand basin, fitted book shelves and fitted desk. 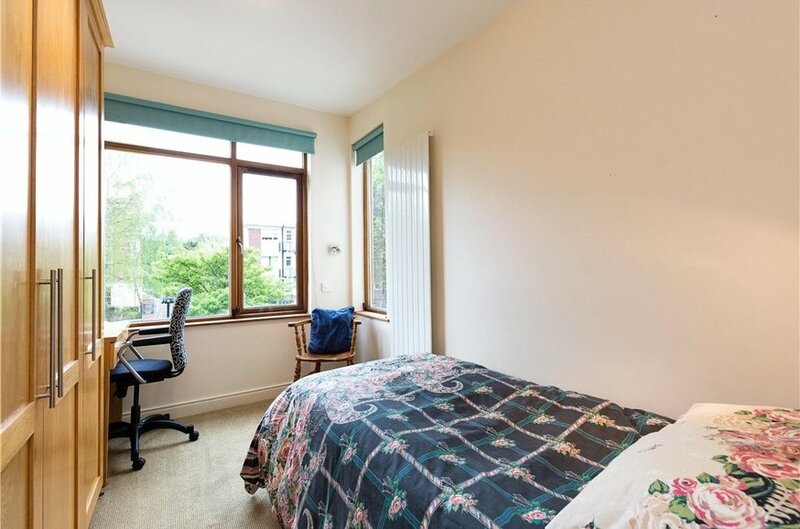 with w.c., heated towel rail, walk in power shower, large picture window overlooking the rear garden, vanity unit with Silestone top and cupboard under. with picture window to front and built in shelving unit. 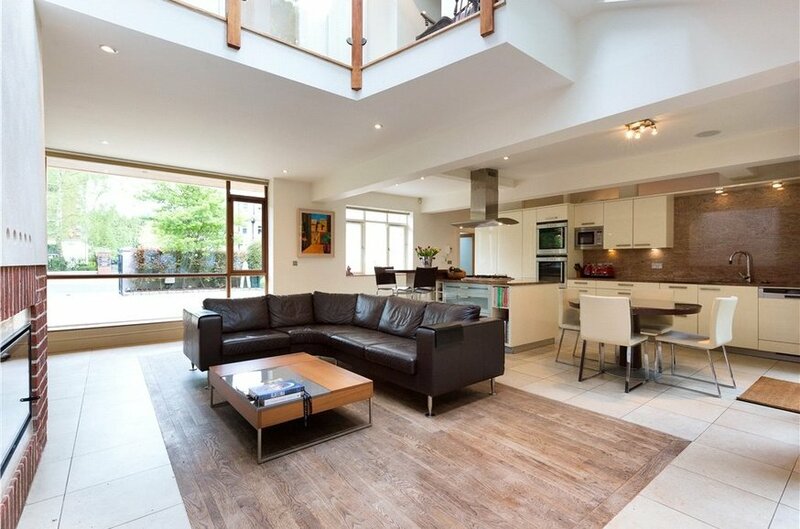 with atrium roof, large picture windows overlooking the rear garden and steps back down to the kitchen area. with built in wardrobes and fitted bookshelves. 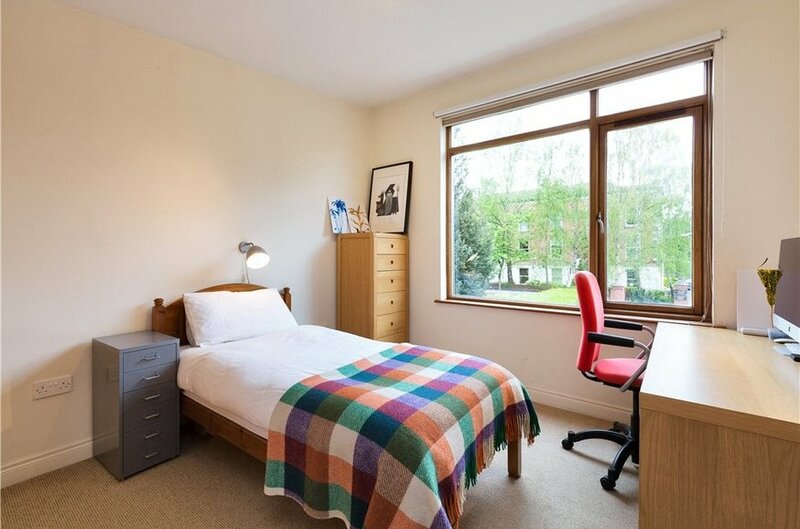 with large picture window to front and built in wardrobes. 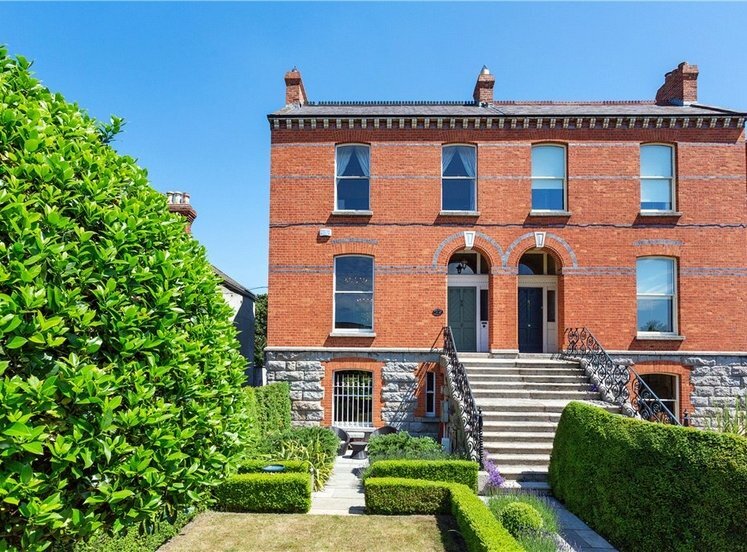 The property is approached via electronically operated wrought iron entrance gates which in turn lead to a large gravelled forecourt providing ample off street parking. There is a most attractive landscaped garden to them front. 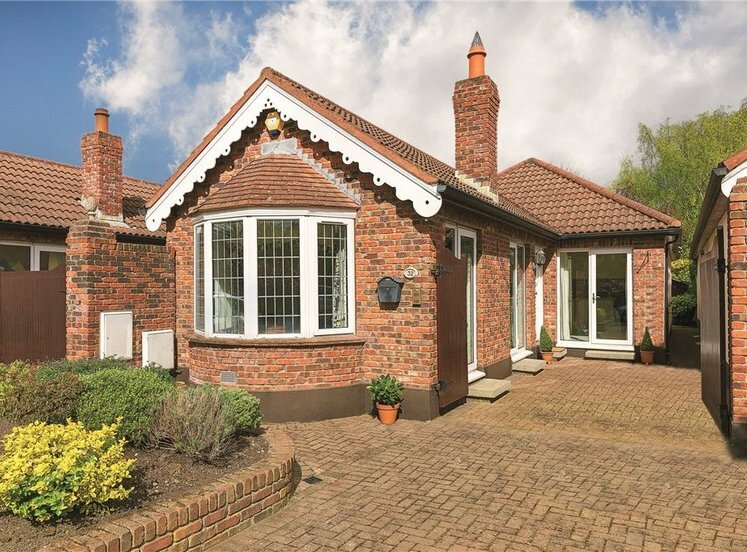 To the rear there is an exceptionally fine landscaped garden with feature raised lawn and numerous patios / seating areas strategically placed to capture the sunny aspect. 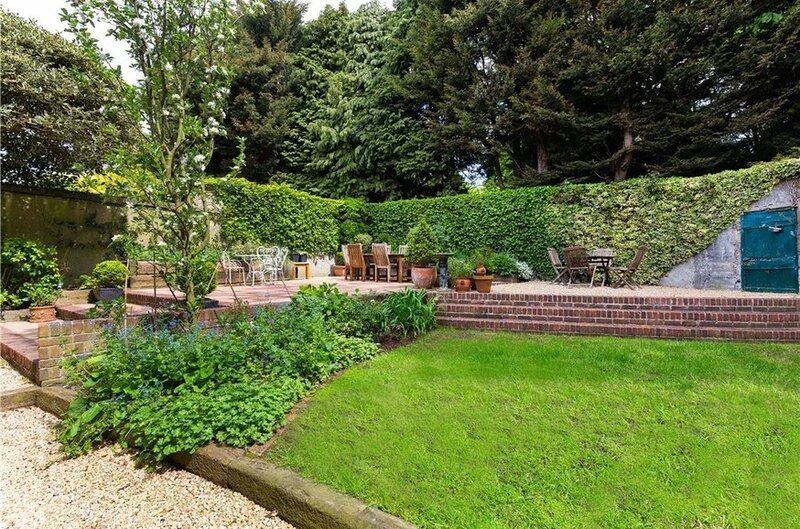 The rear garden measures 12m in length by 19m. There is a most useful store room running along the side of the property, plumbed with hot and cold water, incorporating a work bench and providing storage space and access from the front to rear garden.